Ferrari engines: soon to be museum pieces? It was time again for the pilgrimage, and off to Maranello I dutifully went. Is there a motoring Mecca? If so, Ferrari’s headquarters is surely it. I first ventured there 32 years ago when the factory was much smaller, its products less finely honed and its business decidedly less professional. 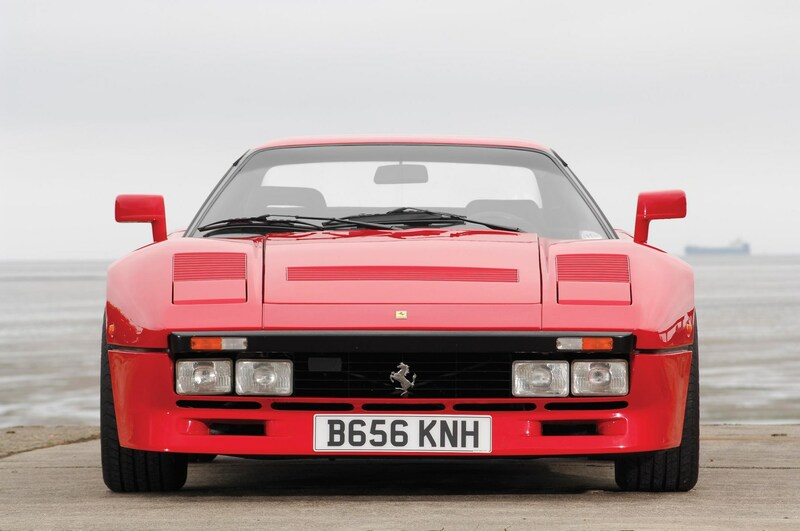 I went to collect a Ferrari 288 GTO to drive back to London, accompanying new owner Ron Stratton. In those days there was no welcoming reception area behind the big electric gates on Via Abetone, just a bare room with a wall of security glass behind which sat thick-necked Rocky Balboa lookalikes. Italy had a big terrorist problem in those days. But when the guards realised we had more love for red sports cars than the Red Brigade they became friendly and ushered us to a waiting room where a nice man came to relieve Ron of his money (a banker’s draft for £59,690). We walked past Enzo Ferrari’s office to a garage where Ron’s car waited. That red 288 GTO did look magnificent. It’s still one of my favourite Ferraris, never mind the slightly crummy interior. There was only one disappointment. Ron had brought a selection of tapes for our drive to England. But where Ron expected to find a cassette player, there was an unsightly rectangle of plastic. ‘A radio cassette player is an option,’ explained the chain-smoking Ferrari man. ‘Although we do fit the speakers and wiring as standard.’ Ron had omitted to tick the options box. I have been back many times. 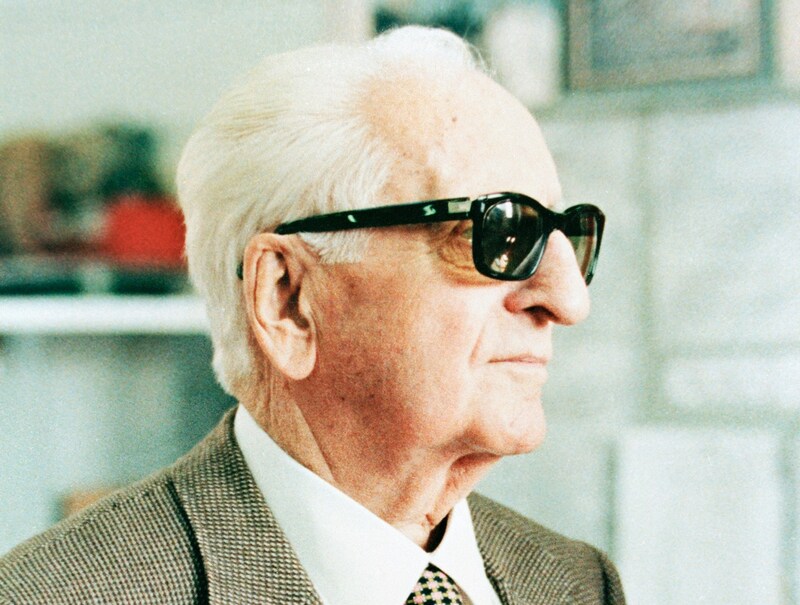 On one occasion – 1986 or ’87 – it was to meet Enzo Ferrari. Sadly, the Old Man was ill and couldn’t see me. He died in 1988, aged 90. And here I am again, for my seventh pilgrimage. The big electric gates on the Via Abetone seem the same, and so does the Ristorante Cavallino on the other side of the road, lunchtime haunt of Formula 1 drivers and management alike. 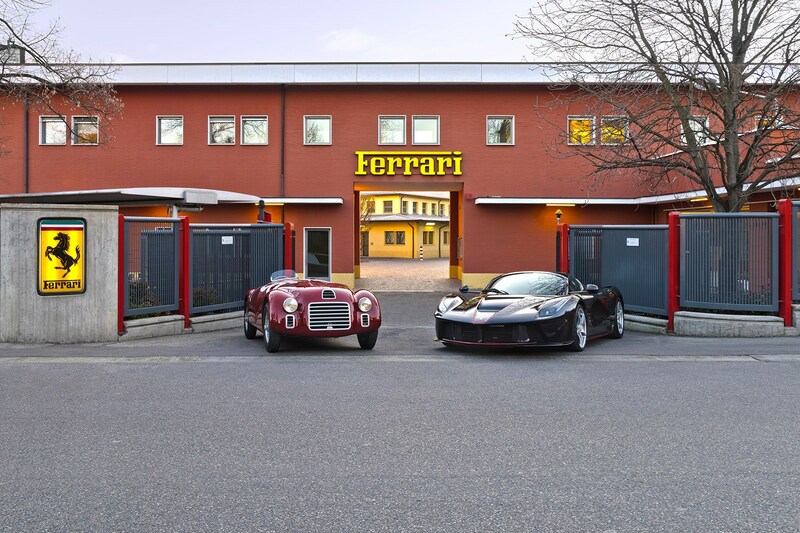 The old two-storey terracotta-colour factory frontage and its distinctive arch (Enzo’s old office is just behind) has not changed fundamentally since 1947, apart from the elegant yellow Ferrari script over the arch, added in the early ’60s. Behind the old buildings, though, much has altered. Vast new structures house high-tech machinery. The old cottage industry Ferrari of Enzo’s day is long gone. In the ’80s, Ferrari invitees were the lucky few. Now buses full of Chinese and Americans ply the factory’s tree-lined streets, named after F1 drivers. In the ’80s, Ferrari visitors were worshippers. Now, they are merely tourists. Some things don’t change. As I walked the vast modern halls, watching the V8 and V12 cars morphing from skeleton to sports car, I was pleased to see the V12 engines are still hand assembled, each unit lovingly put together by one man. Ferrari’s V12 is the king of combustion engines, and from Colombo’s first 1.5-litre V12 to today’s mighty Superfast unit, it has remained at the petrol engine pinnacle. When the combustion engine becomes a museum piece, in a few decades’ time, it will surely be a Ferrari V12 proudly displayed in the Museum of Modern Art and at London’s Science Museum. But this upcoming celebration of the past reminds us of Ferrari’s great engineering challenge for the future. The electric motors that will one day replace petrol power will be fine for mainstream cars of everyday utility. They will make Rolls-Royces even more refined. I can picture electric Porsches, Jaguars and Aston Martins (in fact, they are all imminent). But I just can’t imagine an electric Ferrari. Yes, it could accelerate as hard as a V12. But Ferraris aren’t about measurement. They are about feel. And nothing inspires more than a Ferrari’s soundtrack. An electric Ferrari would be like a Fender Strat withoutthe strings: lovely design, no music. There must be an argument for low-volume low-mileage sports cars to be exempt from any petrol engine prohibition. After all, Ferrari’s contribution to global warming, and asthma attacks on the North Circular, is inconsequential. Banning supercar V12s will be to the detriment of science, art and artisanship. My old boss at CAR, Ian Fraser, used to say you bought a Ferrari for its engine and the rest came free. A Ferrari’s full-blooded and full-throated petrol engine is like the mechanical movement in a Rolex, or the manual focus on a Leica. It’s an essential part of the machine’s character. How can a Ferrari be a Ferrari without its heart and soul?